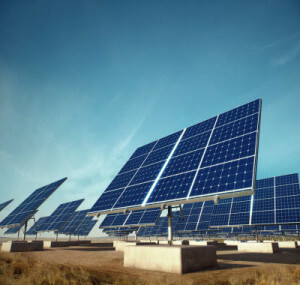 Solar energy is the largest renewable energy resource, and it is going to account for more than 60 percent of the power supply in future due to diminishing non-renewable sources. Therefore, the projects based on solar power generation always offer broad scope for students as well as researchers. Owing to the broad scope applications of solar-based power generation, this article highlights a few of such projects. 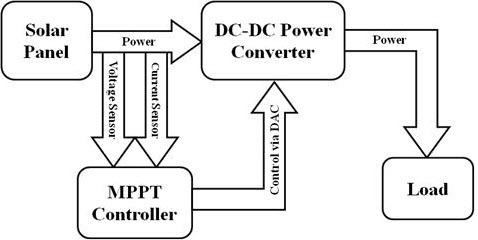 The main aim of Maximum Power Point Tracking (MPPT) system is to reduce the PV array system’s cost by minimizing the number of solar panels required to generate the power. It increases power generating efficiency by locating a point where maximum power is available in the solar panel. If this solar array voltage is fixed, maximum power generation cannot be attained all the time. This system uses the quadratic equation-based algorithm that fits to the power-voltage curve of the cell, and calculates the quadratic function corresponding to the maximum power point. 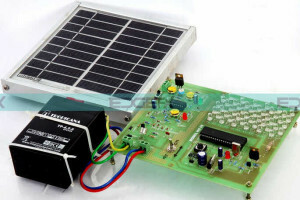 It uses: a program-based software to execute the algorithm; a data acquisition board to acquire the solar panel voltage and current values; and a DC converter to adjust the output voltage. 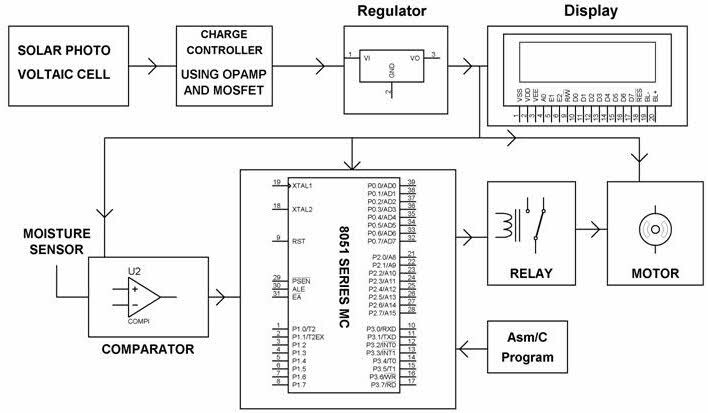 After the acquisition of voltage and current signals, the algorithm calculates the desired location in terms of PWM command signals to a converter circuit. 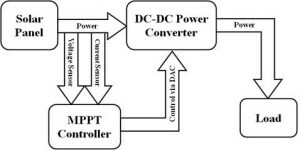 This high-speed PWM signals vary the voltage of the DC-DC converter in order to generate maximum power to charge a battery. This system also protects the battery against overcharging. In this sun-tracking system, a solar panel is driven by Stepper motor based on the direction of the light intensity of the sun to generate maximum power through the panel. This system maintains the solar panel perpendicular to the Sun even when it moves from east to west. 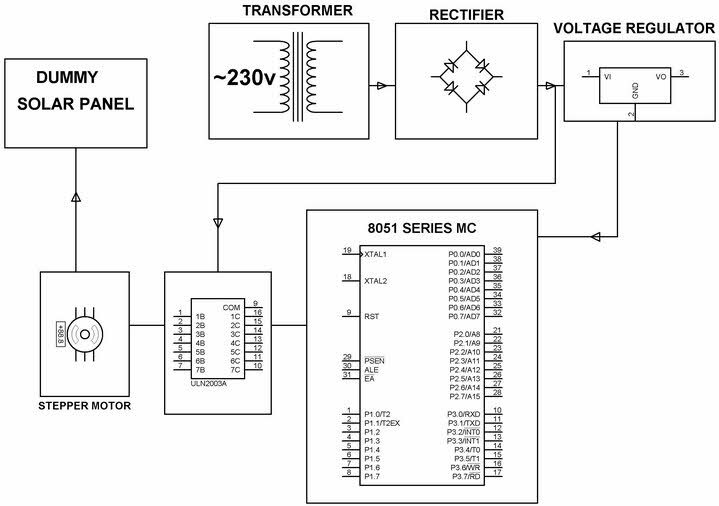 In this project, the microcontroller acts as a main controller to drive the stepper motor; and the microcontroller is programmed in such a way that based on the time intervals, it controls the speed of the motor to avoid unusual climatic and weather conditions like cloudy weather conditions. The motor is driven by a driver IC that rotates the motor both in clockwise and anti-clockwise directions. 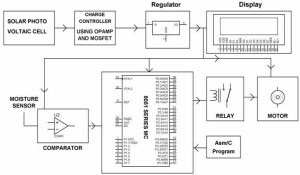 This project utilizes a real-time clock (RTC) to provide the internal clock that follows the sun. This project is proposed to conserve the energy of the battery, which is acquired from the solar panels. Therefore, the solar power generation based LED Street lights’ auto intensity control is achieved by varying the power available to the lights at specific time intervals. Because the solar energy is available during the day time only, therefore there is a need to conserve the energy of the battery which is actually from the solar panels. The main aim of this project is to keep the required lighting during the peak hours, especially during huge traffic hours, and then to gradually reduce the lighting in sync with the approaching evening hours. The system uses low power consumption LEDs as a replacement to the high discharge lamps that consume more power. 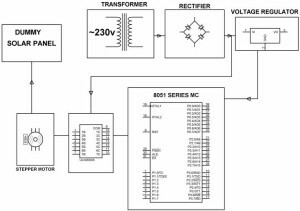 The microcontroller is programmed in such a way that when the day time elapses and evening approaches, which is marked by a gradually diminishing light intensity, the energy supplied to the array of LED’s also decreases. MOSFET is used as a switch to vary the power applied to these LED’s by PWM technique. This project utilizes the generated solar power for the auto-irrigation system. 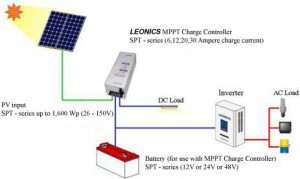 In this system, the solar power stored in the battery drives a motor to pump water. Depending on the soil condition, whether dry or wet, the motor is switched on or off. This minimizes the need and efforts of the farmers to continuously check the farm soil conditions in order to turn the pumping system on. This system uses a microcontroller to control the motor by sensing the soil condition with a sensor. The system is programmed in keil software in such a way that while receiving the sensing information about the land, it automatically turns the relay that directs the motor to start. In addition to this, the information about the status of the motor whether it is turned ‘on’ or ‘off’ is displayed in the LCD display. My que. is. What is the option to replace a microcontroller which has easy in operating?